“Record Profits” Are Good, Should Be Normal | Dude, Where's My Freedom? Posted on February 22, 2013	by Dude Where's My Freedom? One of the most oft-repeated canards by socialists when they’re losing an argument is how companies are making “record profits.” Most of society has been brainwashed into automatically assuming this is somehow a terrible thing that must be quickly remedied. How dare they make record profits? How much more greedy can you be? This idiotic complaint tends to enrage me more than any other, because it is just so unbelievably stupid. Let me state this clearly, and without any reservation. All other things being equal, every company should expect to make record profits every year. Let’s think about this for a minute. 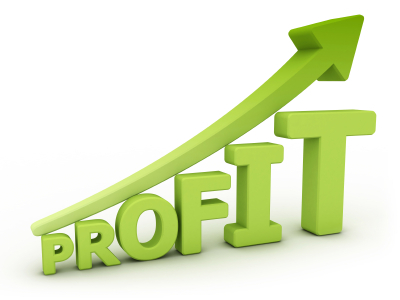 What does it mean to make “record profits?” It means simply that a company made more money in its most recent fiscal year than it did in any year previous. Putting aside whether corporate profits in and of themselves are good or evil, should we not expect this to occur? Due to inflation (even when inflation is very minor, it still exists), a company that retains the exact same amount of business from year to year will see “record profits” every single year (assuming we are speaking of nominal profits). Due to the fact that most firms retain most of their profits to re-invest in their businesses, we should expect that these re-investments cause the firm to grow, and therefore make even more profits. In the normal course of affairs, every company should make “record profits” every year. Any firm that is not making record profits has either been the victim of a business cycle (most likely created by the federal reserve) or is being run quite poorly, in which case investors should demand a change in management. As an aside, let us think about an individual worker rather than a corporation. Individuals sell their labor in the same method that corporations sell goods and services. A thrifty person will work hard to earn more money than he spends, thus putting some aside from savings. This savings represents profit, in the sense that it equates to the revenue the person has taken in, minus the expenses of items they have purchased. Normally, virtually everyone expects to make “record profits” every year. The average employee would expect (and quite reasonably so) that with every year of work experience; they make themselves more valuable, thereby increasing their revenues. They might also expect that as they purchase capital goods, such as a car, a house, or education, that these goods will enhance their productivity, or at least not need to be purchased again, thus lowering their expenses. Now obviously, someone might occasionally manage their life poorly and get fired from a job, or they might be a victim of circumstances beyond their control leading to a layoff, but those would be exceptions. In the general course of affairs, they would expect to make record profits every year. The next time a socialist complains about “record profits,” ask them if they are making more money this year than they did last year? If not, ask them if they ever plan on making more money than they currently are at any point in the future. That would be record profits. In the regular course of affairs, every company should expect to (and usually succeed in doing so) make record profits every year. This is simple economics. It is not a villainous act that should be condemned, but rather, it results in tremendous progress and an improved quality of life for humanity as a whole. This entry was posted in General Theory and tagged business, Economics, fallacies, profits, record profits, socialism. Bookmark the permalink.